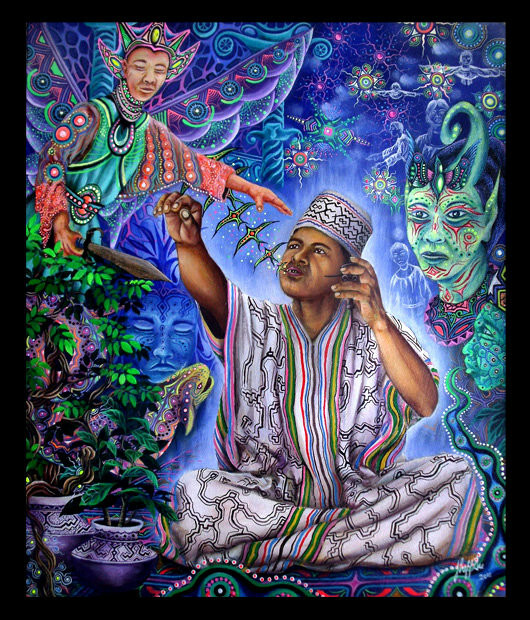 Jheferson Saldaña Valera - ARTE AMAZONIA provides a global voice through art for the indigenous cultures of the Amazon. 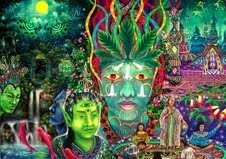 As a self-taught artist, his neo-Amazonian style visionary painting was a result of the visions induced by master plants. 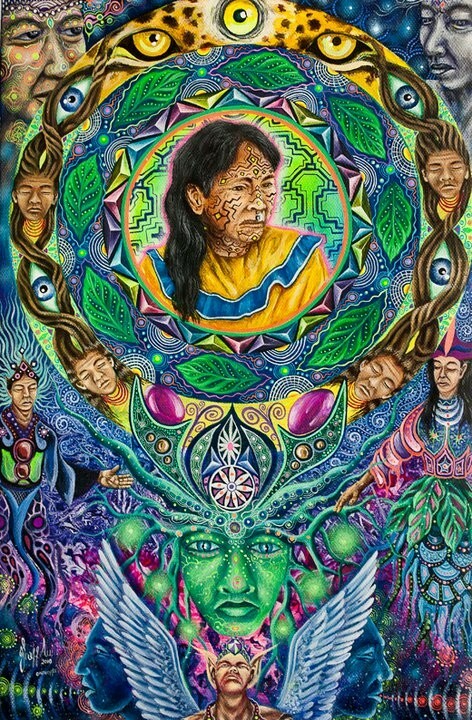 On his canvas, he paints the spiritual and invisible worlds that he perceives.. His works transcend the veil that separates us from the spiritual realm and invites us to explore this other world of shamanic visions. 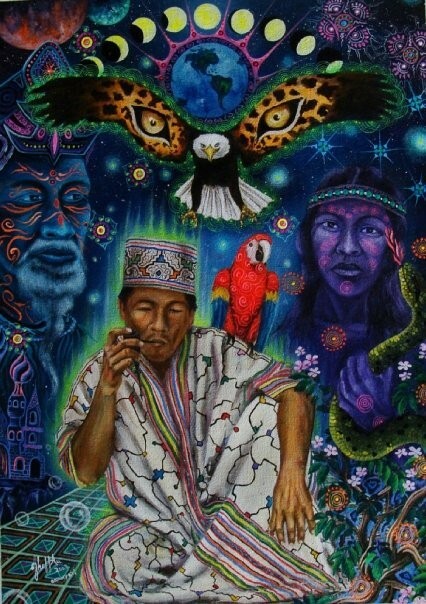 He feels that these experiences reconnected him to his ancestors' shamanic culture and their traditional use of sacred plants. Through his art, he feels that the ancient tradition of the native Amazon people lives on. 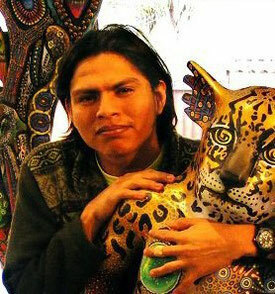 In addition, Jheferson later studied communications and worked as a journalist, which lead him in 2007 to a unique project called, "Amazonian Visions: Living myths and legends of Amazons rainforest." This inspired him to found an association called "ONANYATI", meaning wisdom of the ancients in Shipibo Indian dialect, of which he is currently president. of Visionary art, France, in October 2007 and in March of 2009, as one of the leaders of Amazons' artistic renewal, where he was featured as an artist and speaker.